I would love to learn more about how dungeons are generated like this - is there anywhere you can point me in the right direction to learn more about it? Can't recommend anything else, try to search a bit about BSP dungeon generation. That's one of the methods, that I use. Well, the trick that pixel dungeon uses, is that it generates just room. Then it selects room in some path, that is in a circle form. And then it paints each one. 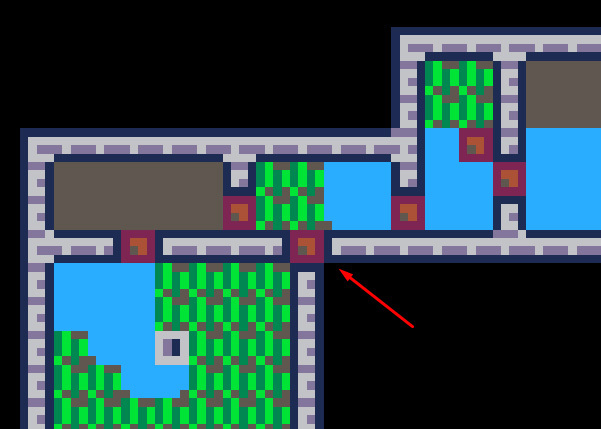 But some of the rooms are painted like tunnels, so it doesn't need to implement pathfinding and stuff. I really love this idea. Yeah, I know this bug 😕 Messed up random bounds somewhere. But well, this was a 30 min build, so yeah ;) Can be also solved by going over the map once again and looking for a door with 3 walls near. That is so cool it would be great for a game! Wow! Juste wow! It's very nice!